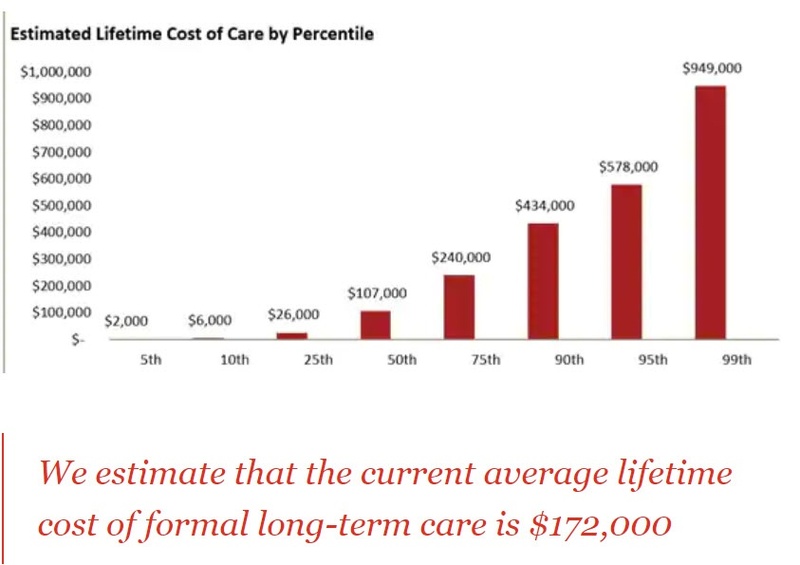 Is there a better way to estimate the future cost of long-term care? An early step in any long-term care conversation an advisor has with a client is coming to an agreement that an extended care event COULD happen to them. This acknowledgment of risk will lead to the next discussion - for any particular person who may need care, where is that care going to happen, how long could it last, and how much could it cost? Short of the weather you can't come up with a more challenging forecast - but some companies are creating tools to empower advisors to help their client do a better job with this task. When is the care event going to occur? What geographical area is the person going to be in to receive care? Where is the person going to be receiving care - at home, assisted living or a nursing home? What will be the cost of home care, assisted living or nursing home when care is needed? How long is the event going to last? I'm no actuary, but variables such as these that can change over a long time horizon can result in a very fuzzy distribution of possible outcomes. When you add up the impact of millions of aging Americans the answers to these questions are critical to providers and payers of long-term care services such as governments and insurers. In recent years there have been many efforts by researchers to come up with good projections. For example a year ago we had as a guest on our monthly webinar the head researcher for the RAND Center Study of Aging which used a large government data set to estimate the odds and out-of-pocket costs for one part of the care puzzle - nursing home costs. The study showed that single females will typically end up spending more on LTC costs in the future than married men, and that the "tail" risk for out of pocket care could be over $150,000. Other costs estimates from companies like PricewaterhouseCoopers used carrier data to give an estimate of an average cost of $172,000 - but again include a really large variation at the tail end of possibilities! One way to avoid the problem of uncertainty in care costs is to consider buying LTC Insurance with lifetime or unlimited benefits. There are both traditional and linked LTC products with lifetime benefits, but they may be too expensive or not have other features that that clients would be interested in. Is their a better, more personalized way to estimate needs? Averages are just that - but with a little more information on a specific person there is an opportunity to get a more accurate estimate. A better estimate can help provide a baseline to planning that will balance the cost of current investment in planning with the potential future risk. Let's take a look at three tools that may be able to help. With a little more information than just where someone lives you can get an even better idea of LTC costs. 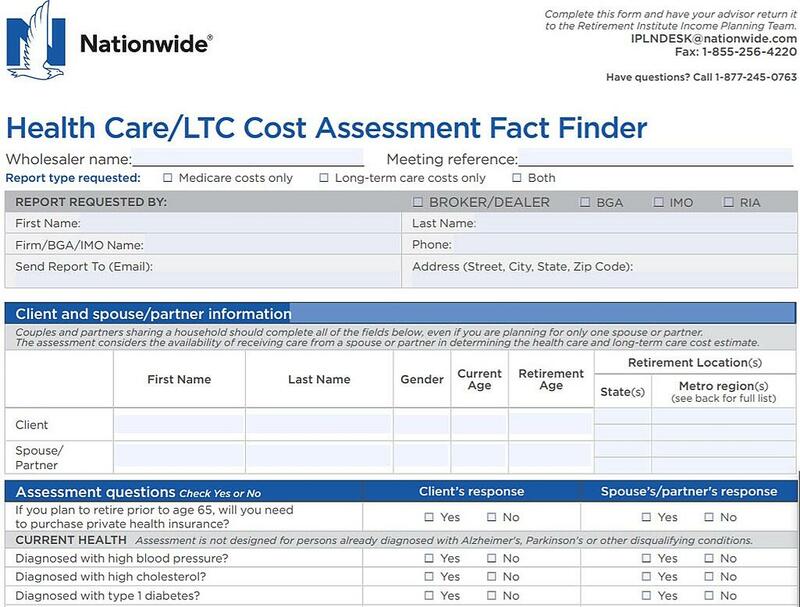 Nationwide has created a LTC Cost Assessment Fact Finder that asks some health questions, such as questions on high blood pressure or diabetes. When this questionnaire is completed and sent to Nationwide they will provide a customized report. (Click on the image to learn more). 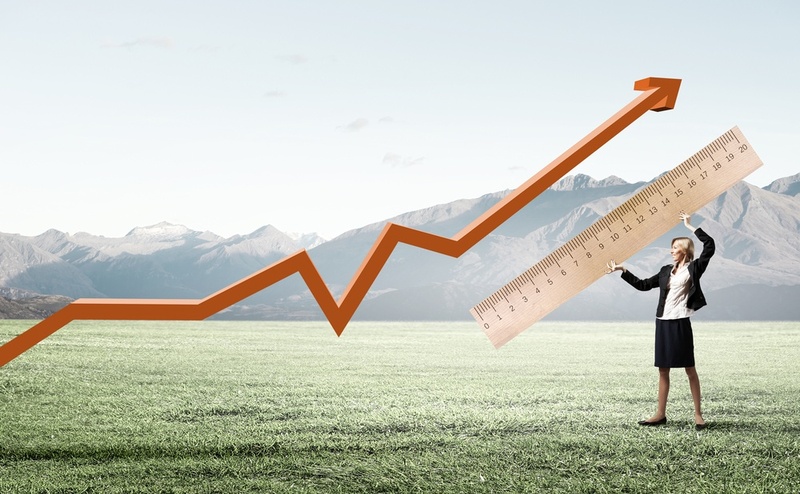 Finally, the next generation of cost projection tools will do more than simply create a cost projection - the will also give clients ideas on increasing longevity and reducing the need for care. 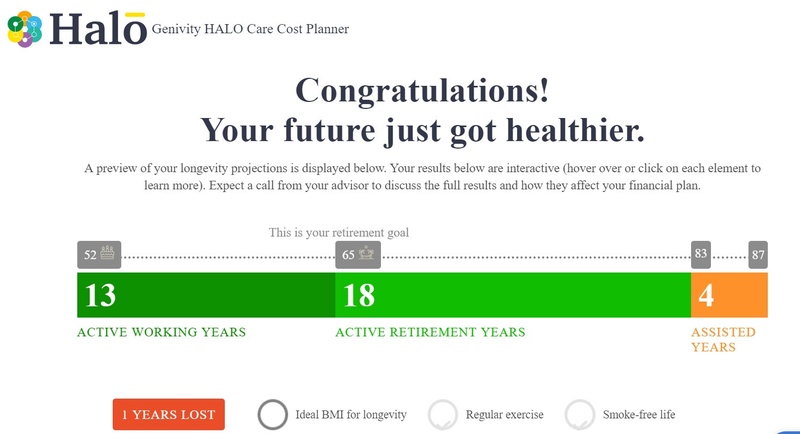 Consider Halo, a newer cost of care planning from a company called Genevity. Similar to the Nationwide assessment Halo asks a series of demographic and general health questions. In includes the Genworth cost of care data in creating projections. What sets it apart is how it incorporates available genetic data to help increase the accuracy of results and also includes suggestions on increasing life expectancy. In the example below, a client can see that having a better BMI can help increase longevity while decreasing the number of assisted years. Clients who complete the series of questions online will get the quick report above while the advisor will get a more comprehensive report to assist in planning. Of course the big caveat remains - in projecting costs so far out it is a challenging task. However, with more and more demographic data and the benefit of AI and machine learning these tools will continue to improve - and will allow advisors and their clients to better plan for care.